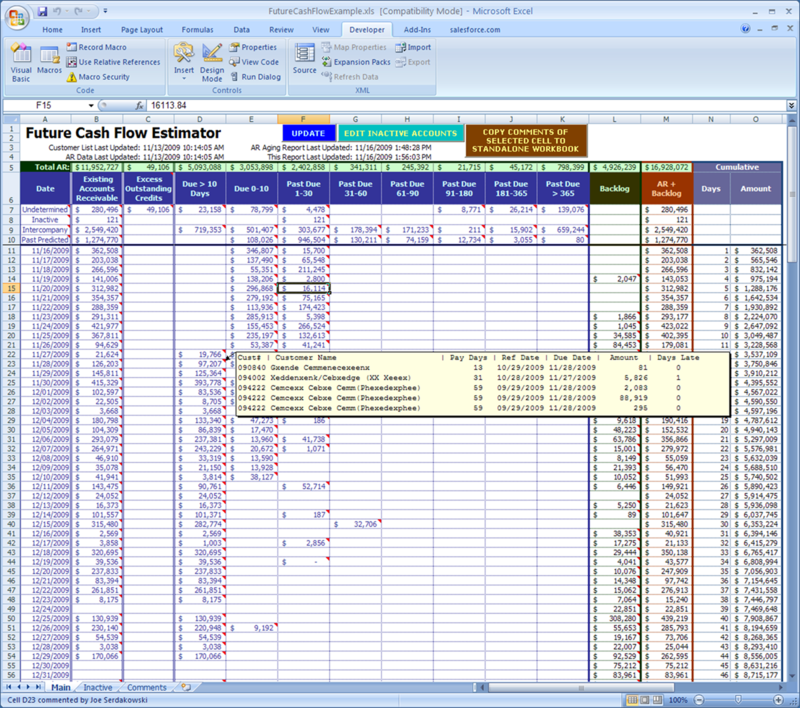 SMART provides an Accounts Receivable Report that gives total visibility to all of your accounts. 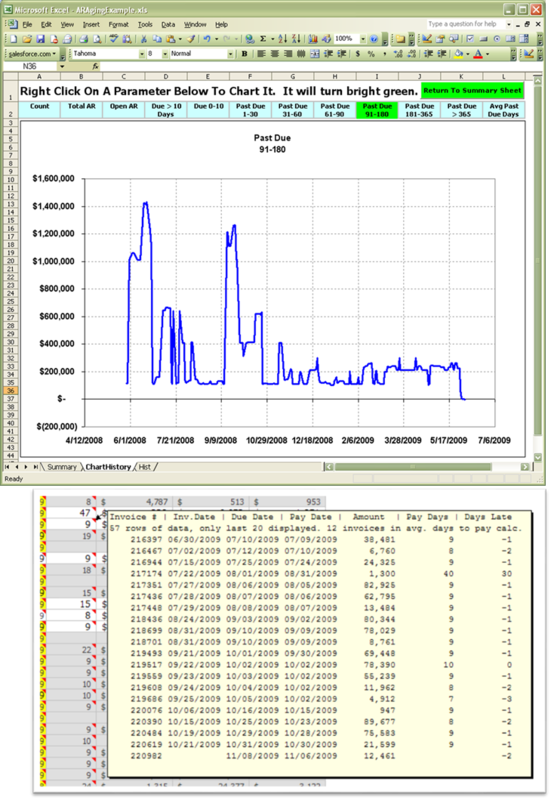 The companion "Future Cash Flow Estimator" predicts when the receivables will be paid based on customer payment history. 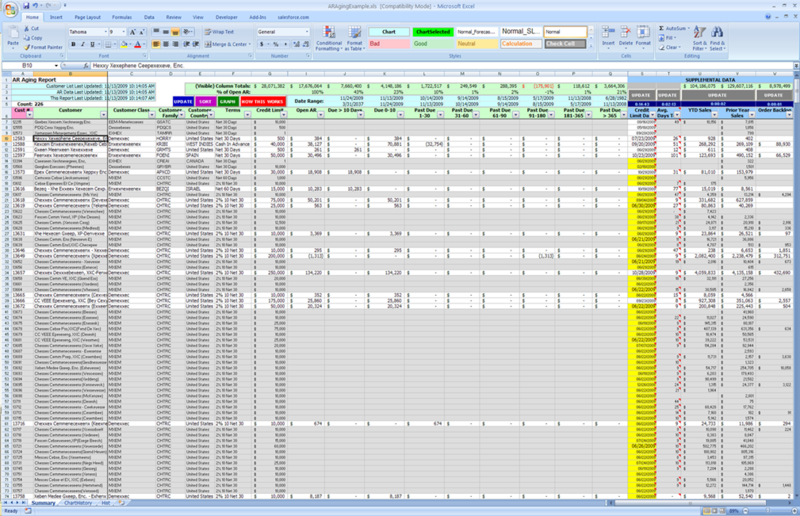 It also looks at the Backlog and includes Backlog information in the calculations, with details available in the commented cells.